Elcogen was awarded with an Innovation Award by European Investment Bank (EIB). The world’s largest non-profit lending institution is supporting highly-innovative companies in cutting-edge technology sectors in Europe. Each year amongst thousands of applicants only few are selected to get the financing support. “If we want Europe to catch-up with the US in terms of innovation financing, stay competitive and develop more European champions, we need to support its most innovative companies and cutting-edge technologies. 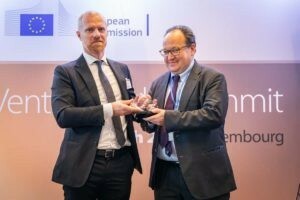 This is what we successfully have started to do with the EIB venture debt financing solution,” said EIB Vice-President Ambroise Fayolle, responsible for innovation, science and digital. 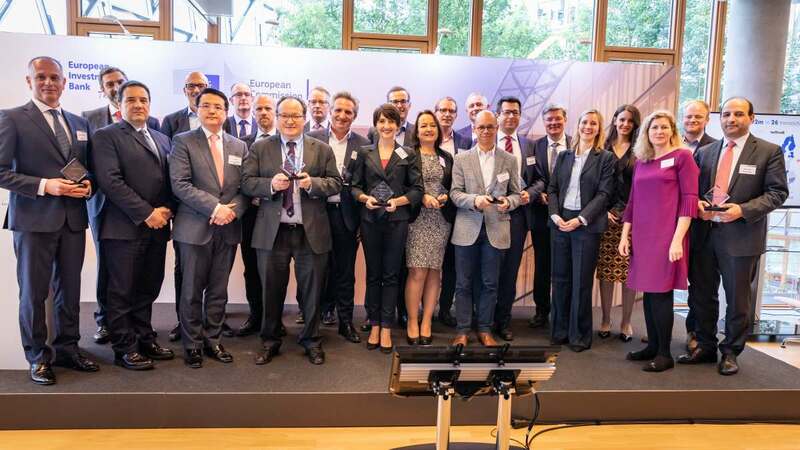 The EIB venture debt financing is supporting the growth of innovative companies in various sectors such as life science, biotech, software, 3D printing, robotics, clean technologies and artificial intelligence. Elcogen has signed EUR 12 million loan facility with The European Investment Bank. The loan is the first in the Baltic countries to get support under the InnovFin – EU-finance for innovators programme, which is financed from the EU’s Horizon 2020 research and innovation programme. Specifically, the financing falls under InnovFin’s Energy Demonstration Projects (EDP) facility. The goal of the financing is to aid in the set-up of a demonstration manufacturing plant for cells and stacks used in solid oxide fuel cell systems, creating highly skilled local jobs in the process. The financing enables Elcogen to invest in the research and development of fuel cells, to increase production volumes and to start its mass-manufacturing processes.